We’re perhaps 6-7 weeks from the likely end of “fun” antenna season, so it sounds like a perfectly good time to decide to add some antennas! 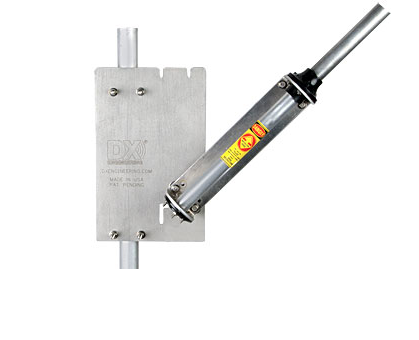 First to put the Gap Titan DX vertical antenna back on line, including installing the DX Engineering tip-over base that I’ve had for a year now. 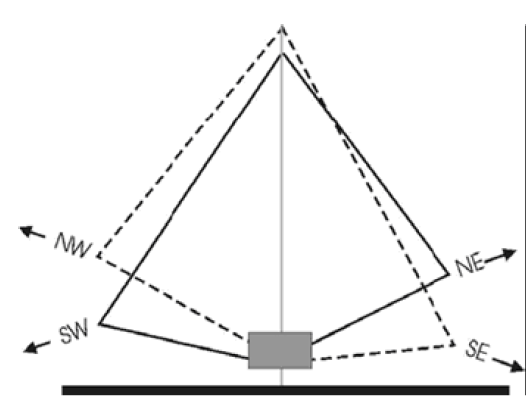 I’m not looking to use the Gap all that much for a transmit antenna, as I would like the vertical Omni-directional receive as my log periodic is deaf to anything weak that it isn’t pointed directly at. So the Gap would become “receive vertical for 80-6m” in my antenna farm, as well as an occasional transmit antenna – specially for digital. 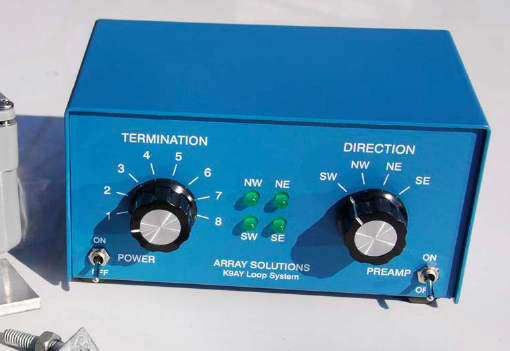 Second receive antenna I am considering is a K9AY loop receive four-way array, like the Array Solutions offering. This would be a space effective way to add a topband (160m) and 80m directional receive to put some “real ears” on my lowband efforts. That their Wolf Systems K9AY setup is potentially DXpedition portable seems a plus, though whether I’ll get to use it for a DXpedition is a question. Unlike the first antenna, I need to order this K9AY unit soon if I am to get it cabled in before the frost hardens the ground. Perhaps I will have to settle for getting the underground in for the Gap and getting it sorted out. Those limited daylight hours you know…. At Dayton Hamvention 2008 I again had time to meet with Herr Hans Hiberling. Meeting with Hans is always a pleasure, as everything he does appears to be the best possible he can do. Impression of the Radio were solidly reinforced with a mere 10 minutes operating the Hiberling PT-8000 with QSOs with the Icom 7800 station 100 yards away and a few in-region QSOs. I’ve been in touch with Array Solutions to find out how I could get some station time to evaluate the radio over a couple hours or couple days or operating. The display is outstanding, the bit of set-ups I did seemed intuitive and everything “feels” first rate & more! The design features include simple things including having the key operating manual instructions on durable pull-out cards that you pull from beneath the radio when needed, to exceptional station presence in color & design. Reports were outstanding, and given the poor operating situation massively remarkable. Thinking hard on including a PT-8000 in my station! One of the items that very much caught my attention at Dayton was the new VNA (Vector Network Analyzer) units available at “shack-friendly” prices. I’m not going to cover the use of a VNA, as there are web write-ups that explain it better than I ever could. One of the advantages that struck me as most useful is the ability to “Move the Reference Plane.” What this allows is through a number of techniques the test equipment – the VNA – is excluded from the circuit or antenna being tested. This contrasts with usual metering techniques which tend in highly influence certain test results as part of the test process. At least that is what was explained to me! Both are targeted price-wise decently and appear to be reasonably easy to use. 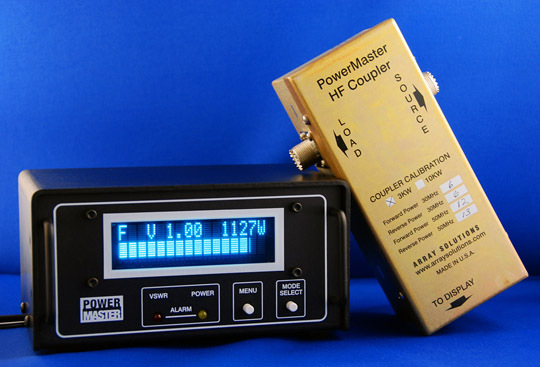 If you are using a VNA in addition or in replacement of an Antenna Analyzer, please tell me how it is working for you!